The four years since Tantric released their sixth studio album Blue Room Archives were wrought with strife, turmoil and massive roster turnover for the band. Or, in other words, more of the same for longtime frontman Hugo Ferreira, the band’s only remaining original member, and his ever-changing crew (the band boasts nearly two dozen former members). 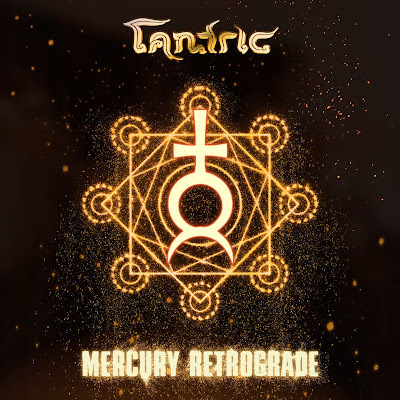 The band’s latest album, aptly titled Mercury Retrograde, finds Ferreira showing no signs of slowing down - quite the contrary actually as this marks Tantric’s strongest collection of songs since 2009’s Mind Control. If nothing else, Tantric have always been masters of radio-ready arena rock and much of Mercury Retrograde is no different (“Angry,” “Letting Go”), though Ferreira’s unique tenor lends itself perfectly to the album’s more measured, melodic refrains (“Before You Could Crawl,” “My Forever”). If you’re a Tantric fan, you know by now what to expect from a new album – a bunch of good rock songs with a few worthy ballads mixed in. Tantric isn’t reinventing the wheel with Mercury Retrograde, and that’s alright.